To provide UTSW/BioTel EMS agency EMS Providers with guidelines for the proper use and removal/disposal of Personal Protective Equipment (PPE). observing the first EMS Provider during donning and doffing can help to ensure proper PPE use. The Buddy System shall be used whenever removing (doffing) PPE, if staffing allows. NOTE: EMS Providers may always exercise clinical judgment to don a HIGHER level of PPE, especially RESPIRATORY Protection, if the clinical scenario warrants. Refer to UTSW/BioTel EMS TB 14-008, and to other BioTel and agency educational materials. NOTE: Except for Air-Purifying Respirators (APRs), all equipment shall be disposed of after single use. APRs may be disinfected, as appropriate, per UTSW/BioTel EMS TB 14-008 and manufacturer recommendations. SURGICAL FACE MASK for PATIENT? NOTE: A Buddy System with a second EMS Provider or other trained observer monitoring the first EMS Provider during both donning and (especially) doffing shall be used whenever possible. Such a system can help to ensure proper PPE use and removal, and it has been shown to minimize the chance of a procedural breach and accidental exposure. provide more protection and may increase EMS Provider risk, because doing so complicates the doffing procedure. 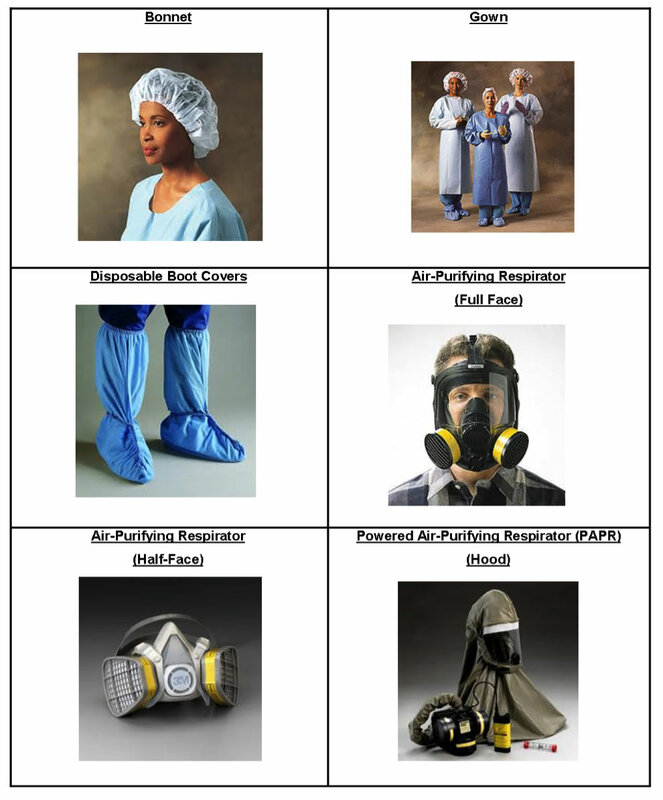 Most Health Care Provider exposures occur during PPE removal (doffing)! 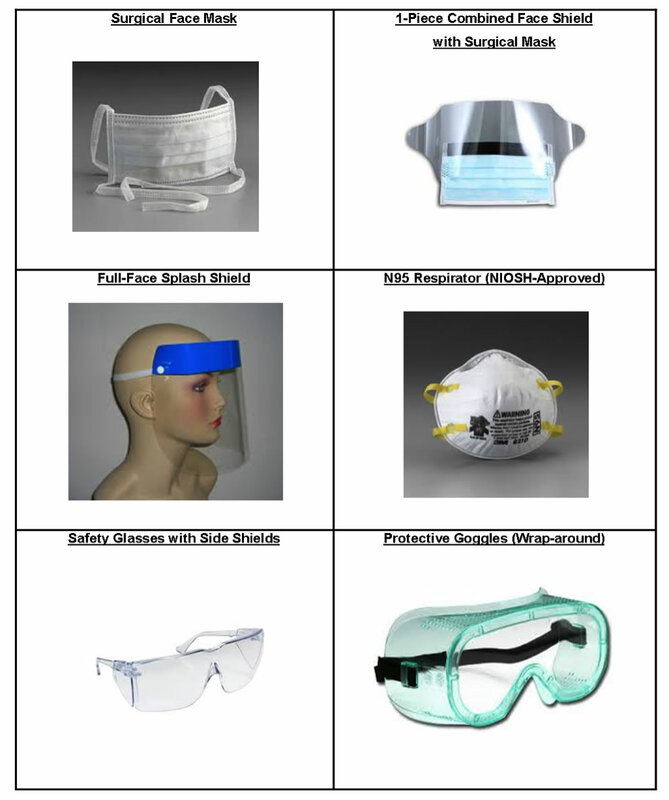 To minimize exposure risk, PPE must be removed carefully and in the proper sequence. TM then dons fresh hospital Standard Precautions and serves as “Buddy” during LM doffing. Do NOT touch “dirty” surfaces with “clean” hands/gloves. DO NOT touch “clean” surfaces with “dirty” hands/gloves. Do NOT touch your eyes, nose or mouth while wearing PPE or during PPE removal, until AFTER the final Hand Hygiene and soap-and-water cleansing have been performed. Discard gloves and perform Hand Hygiene at any point in the process or between steps, if gloves become inadvertently contaminated. Any procedure breach during doffing must be reported as soon as possible to the EMS Field Supervisor. Lysol Spray: bring in to E.D. with patient! ➢	Start with both Medics in full PPE (including double gloves), after transfer of patient care. possible and wash the affected skin surfaces thoroughly with soap and water. Report the exposure as soon as possible to your EMS Supervisor for follow-up. Follow all other EMS Agency-specific guidelines and policies regarding potential infectious disease and bloodborne pathogen exposures. Good hand hygiene is the single most important means to prevent infection spread! EMS Providers shall wear appropriate PPE and apply appropriate isolation precautions when entering the scene, and shall continue to wear PPE until no longer in contact with the patient or his/her environment. Gloves should be replaced when torn or visibly contaminated. EMS Providers should limit the number of surfaces touched while wearing PPE & should keep hands away from their face, as much as possible. EMS Providers shall not eat, drink, or use tobacco products during patient contact. PPE should be carefully removed in the proper sequence, without contaminating one’s eyes, mucous membranes, or clothing with potentially infectious substances. EMS Providers should remove PPE as soon as possible, when not involved in patient care, transferring patient care, or disinfecting the ambulance. PPE should NOT be worn in BioTel or in areas where it is not needed (e.g. completing documentation at Emergency Department Nurses’ Station, or printing the ePCR, etc.). PPE should be disposed of properly in a red “Biohazard” medical waste container, or by double-bagging, labeling and maintenance in a secure location until appropriate disposal can be performed. Reusable PPE shall be cleaned and disinfected according to the manufacturer’s reprocessing instructions and EMS agency policies/procedures. For ANY questions or concerns, contact your EMS Supervisor or BioTel immediately. extubation, and open suctioning of airways.” CPR is not specifically included on the list as an AGP; however, endotracheal intubation may be performed during CPR.